Are You Ready for the Ultimate Michigan Scavenger Hunt? Quick – how many counties does Michigan have? Michigan has 83 counties. Were you close? I thought that was a lot until I learned that Texas has 254! But we still have our work cut out for us because we’ve found the one thing you must do in each Michigan county, and Michigan spans several hours of driving. How many of these have you done? This list was very hard to complete, because some of these counties have so many wonderful activities for families that we felt guilty picking just one. In fact, the counties with Detroit and Grand Rapids got a little extra loving, as you simply cannot visit these popular cities and just do one thing! Alcona – Watch the sun rise over Lake Huron. Alger – Visit Pictured Rocks National Lakeshore. Allegan – Catch a movie at the vintage one-screen Regent Theatre in downtown Allegan, or, if weather permits, ride over the Kalamazoo river on their new zip line! Antrim– Visit beautiful Torch Lake, loaded with lots of fun. Arenac – Take a boat (or ferry) to go bird watching on Charity Island, the largest island (222 acres) in Saginaw bay. Barry– Take your horse down the trails (or your bike or feet) at Yankee Springs State Park. Bay – Take a guided tour at the Saginaw Valley Naval Ship Museum. Berrien – Head to Silver Beach, where you can ride the Silver Beach Carousel and get soaked at Whirlpool Compass Fountain, Michigan’s largest splashpad! Branch– Take a ride on an antique steam locomotive on the Little River Railroad. Calhoun – Visit Honolulu House or take a full tour of historic homes in Marshall. Cass – In spring, take in the incredible wildflower splendor at Dowagiac Woods Nature Sanctuary where over 50 types of plants are in bloom. You can also visit any other time of year to experience the woods’ extensive diversity of plant species. Charlevoix – Experience summer at gorgeous Lake Charlevoix where you can take a walking tour of the Mushroom Houses (They look like gnome homes) or Ski in Boyne Falls in the Winter. Cheboygan – Make a quick stop at Sea Shell City (And say it five times fast, I dare you!) before making a stop at Fort Mackinac. Chippewa – Watch the massive freighters roll into the Soo Locks, a wonder of engineering and human ingenuity. At the Lower Falls in Tahquamenon Falls State Park, you can rent a row boat and take it out to the island. It’s a nice little hike around the island for kids, and small wading pools that they can take a quick dip in! Clare – Visit the original Cops & Doughnuts location. Clinton – Take a fall field trip to Uncle John’s Cider Mill (and get ready to do more than taste cider and donuts). Crawford – Enjoy a one of kind visit to Grayling Fish Hatchery on the AuSable River. Delta – Trek the vibrant green forests and see the breathtaking white cliffs of Fayette Historic State Park. Dickinson – Brave Millie Mine Bat Cave in Iron Mountain to visit one of the largest colonies of bats in North America. Eaton – Discover West Michigan’s hidden gem Fitzgerald Park. Emmet – Enjoy camping or staying in a rustic cabin (year-round) at Wilderness State Park and at night head to the Dark Sky Park to check out the stars like you never have before! Genesee – Explore your imagination at Flint Institute of Arts and Crossroads Village and Huckleberry Railroad. Gladwin – Tour Gladwin County Historical Society Museum in old Michigan central railroad depot. Gogebic – Collect agates along the coast of Lake Superior. Grand Traverse – Traverse City. It’s great in the summertime, in the springtime and in winter, too! Bonus points for going during the iconic Traverse City Cherry Festival! Gratiot – Take a run around McNabb Park, boasting 164 acres of outdoor fun. Hillsdale – Grab your gear and fish one of Hillsdale’s 42 lakes. Some people can only dream of having 42 lakes in their whole state, but Hillsdale has them all in one county! Houghton – Ride seven levels underground in the Quincy Mine in Hancock. Huron – Kayak to Turnip Rock in Port Austin. Ingham – Take a tour of our State Capitol Building, including the breathtaking lobby, and walk the outdoor path from the Capitol to the Justice Building. Ionia – What do monster trucks, pigs, food trucks, and fireworks all have in common? The Ionia Free Fair! Iosco – Cut a wooden cookie with a crosscut saw like a lumberjack at Lumberman’s Monument. Iron – The Apple Blossom Trail & Heritage Trail is wheelchair accessible, so that means a stroller-friendly adventure awaits! Isabella – Explore the Mount Pleasant Discovery Museum or Soaring Eagle Water Park. Jackson – Enchant your kids at The Cascades, a musical fountain with lights. 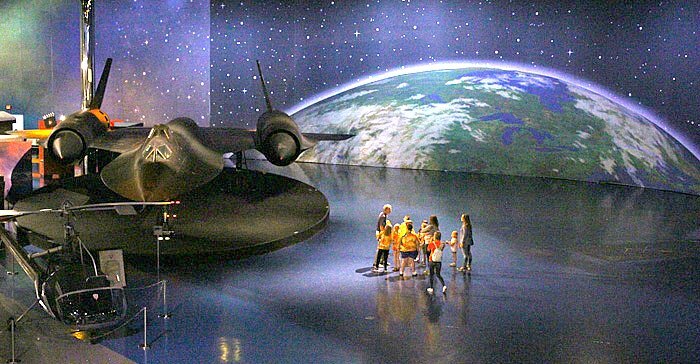 Kalamazoo – Let your imagination soar at The Air Zoo. Kalkaska – Enter a kids fishing contest at the National Trout Festival in the spring. Kent – Come on, did you really think we could pick just ONE?? 1. Frederik Meijer Gardens and Sculpture Park 2. John Ball Zoo 3. ArtPrize. Want more? Check out 52 Things to do With Kids in Grand Rapids Before They Grow Up. Keweenaw – Like many of our counties, Keweenaw is loaded with delights for the eyes, including waterfalls, lighthouses and sunsets. But its crown jewel has to be Isle Royale. Lake – Explore Pere Marquette River activities, including canoe rentals and fly fishing. Lapeer – Wander around historic Piety Hill, adjacent to Lapeer’s central district. Here you’ll find early homes, churches and community buildings on the National Register of Historic Places. Leelanau – Stop by Fishtown for lunch before heading to Sleeping Bear Dunes – you’ve gotta get there! Melody’s guide to Sleeping Bear Dunes with Kids will give you the leg up on taking the whole family. Lenawee – Enjoy the captivating Hidden Lake Gardens, maintained by the horticulture experts of Michigan State University. Livingston -Venture to the many options of Kensington Metro Park. Luce – Take a wilderness train ride or riverboat tour in Soo Junction. You’ll be wowed at Tahquamenon Falls. It is so huge that it spans two counties! Mackinac – You’ve gotta drive across the Mighty Mac! And then come back across and take a ferry to Mackinac Island, land of horses, bicycles, and fudge! Macomb – Tour the factory of Sanders Chocolate & Ice Cream Shoppes. Manistee – Ring in the Christmas season at the unique Victorian Sleighbell Parade during Old Christmas Weekend. Marquette – Go waterfall hunting or take in the views atop Sugarloaf Mountain! Mason – A visit to Ludington State Park is a must! Camping, fishing, hiking, tubing, canoeing, kayaking, and the list goes on. If you’d like just a day trip, try a hike to Big Sable Point Lighthouse, or just a day at the beach. Mecosta – Camp or visit Brower Park. Watersports and family friendly amenities highlight the attractions of the park. With water access to the Hardy Dam. Menominee – Take a self-guided Waterfall Tour. Midland – See what’s blooming from outdoor movies, story times, lunch concerts and more at Dow Gardens and Museum. Missaukee – Get lost (or don’t with their amazing GPS signs and safety tips) in the amazing snowmobiling trails. Monroe – This might sound a bit odd, but stop in at the Cabela’s Store. It’s amazing for kids. They have a walk-through aquarium, a deli serving wild-game sandwiches, and Fudge Shop. Sounds like everyone will be satisfied. Montcalm – Visit what may be the craziest orchard you’ve ever been to! Anderson & Girls Orchards isn’t limited to apple picking but adds to its list visiting reindeer, zebras, kangaroos, camels, feeding parakeets and more! Montmorency – Experience the magic of Elk Viewing and a horse drawn carriage ride at Thunder Bay Resort. Muskegon – Drive home from Michigan’s Adventure with all smiles and a day well spent at their two amazing parks. Newaygo – Camping at Newaygo State Park, might just wear your kids out. You can fish near the Croton Dam area, just 15 minutes south of the park, take hike or bike at the nearby White Pine Trail State Park. Oakland -Be amazed at the Detroit Zoo where you’ll experience their beautifully manicured grounds, fascinating penguin exhibit, butterfly house, and much much more! Oceana – Bump Silver Lake Sand Dunes up on your list because it’s a MUST SEE with it’s 2,000 acres of dunes. Ogemaw – “Fabulous Fridays” in West Branch, the county seat. This is a free, family fun event ever Friday in the summer. Ontonagon – See the beauty of Lake of the Clouds, in the Porcupine Mountains Wilderness State Park. A spectacular lookout can be accessed via a short woodland trail or the ADA access trail. Ocseola – Experience J & J’s River Run the “best tubing experience ever”! Oscoda – The Au Sable canoe race ends in Oscoda and is great entertainment watching the canoes come in. Otsego – Visit the Call of the Wild Museum for an exciting and educational trip, then head on back to Bavarian Falls Park for some mini golf and go-carting. Ottawa – Visit in May during Tulip Time. It’s a week long festival celebrating the Dutch heritage that has shaped the community. Roscommon – Bluegill Festival in St. Helen! We can’t leave out Higgins Lake with the longest shallow end in Michigan ending in the deepest drop off! 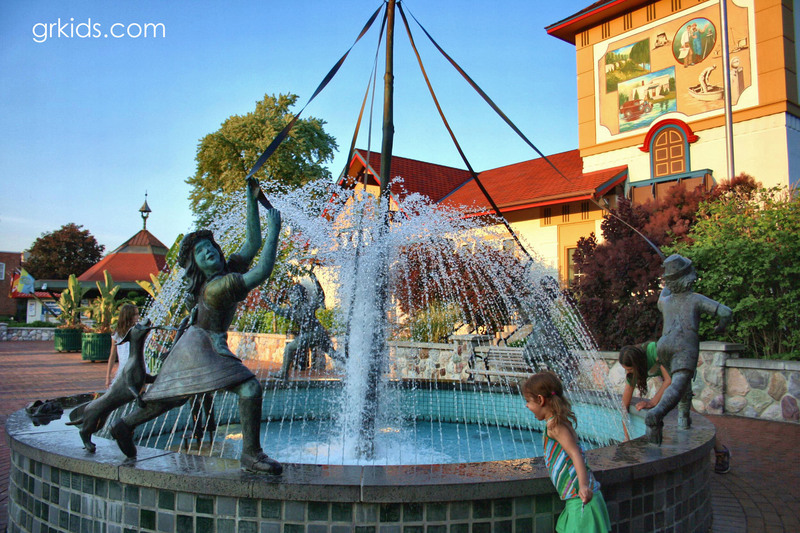 Saginaw – Visit Frankenmuth – Michigan’s little Bavaria. And, we can’t forget Bronner’s CHRISTmas Wonderland, where it’s Chirstmas year-round! Sanilac – Spend the day at Lexington Beach on Lake Huron, where you’ll find three public beaches and a paved bike trail where you can bike to the Croswell Swinging Bridge, the only pedestrian suspension bridge in the state. Schoolcraft – Kitch-it-Kipi (The Big Spring)! 45 feet deep and 200 feet across of clear water! The water temperature remains constant at 45 degrees and is crystal clear, letting everyone see everything in the water below, including large brown trout, strange formations and the sight of 16,000 gallons of water per minute “erupting” from the depths. St. Clair – Take a stroll down the Blue Water River Walk, and wave to Canada as you look across the St. Clair River. St. Joseph – Have fun at Yoders General Store and/or Lowry’s Books and more. Tuscola – View Michigan’s only know prehistoric rock carvings at the Sanilac Petroglyphs Historic Site in Cass City. Van Buren – Walk the pier to the South Haven South Pierhead Lighthouse. Washtenaw – Spend the day at the Ann Arbor Hands On Museum. Wayne – Just like Kent County we couldn’t pick just one! Here is our top five: 1. Belle Isle (Conservatory, Aquarium, Beach for swimming, Huge Bag Slide, Nature Center, Lots of parks!) 2. Detroit Institute of Art (Art, Film, Workshops, and more!) 3. Eastern Market (On of the oldest and historic Market’s of it’s time) 4. Guardian Building (A beautiful site of historic architectural design with a huge mural of the State of Michigan) 5. Waterfront/River Front Splash Pad/Carousal (Right in front of the Renaissance Center is a beautiful splash pad and a view of Windsor, Canada). Wexford –Fishing off the channel between Lake Cadillac and Lake Mitchell while you’re camp at William Mitchell State Park. The Hart-Montague Trail is in Oceana County not Newaygo. Newaygo has both the Hardy and Croton Dams and some great hiking trails like the Ensley Center Nature Preserve (for smaller kids), Hardy Dam Rustic Trail, Loda Lake Wildflower Sanctuary, a great section of the North Country Trail and many more. Presque Isle County is not the location of Presque Isle’s “Black Rocks”. They are located in Marquette County on Lake Superior.